One of the big perks of working at BenBella is getting to check out all of the scrumptious new cookbooks. With so many talented authors on our roster, it’s easy to end up experimenting a lot in the kitchen and developing fresh culinary favorites. In the Staff Recipe Favorites column, we’ll be sharing some of the best-loved employee eats. We hope you enjoy as much as we do! I’ve eaten primarily plant-based since I first read The China Study ten years ago, but nursing a wheat-sensitive new baby (pictured above!) the last few months has really pushed me out of my comfort zone when it comes to food choices. 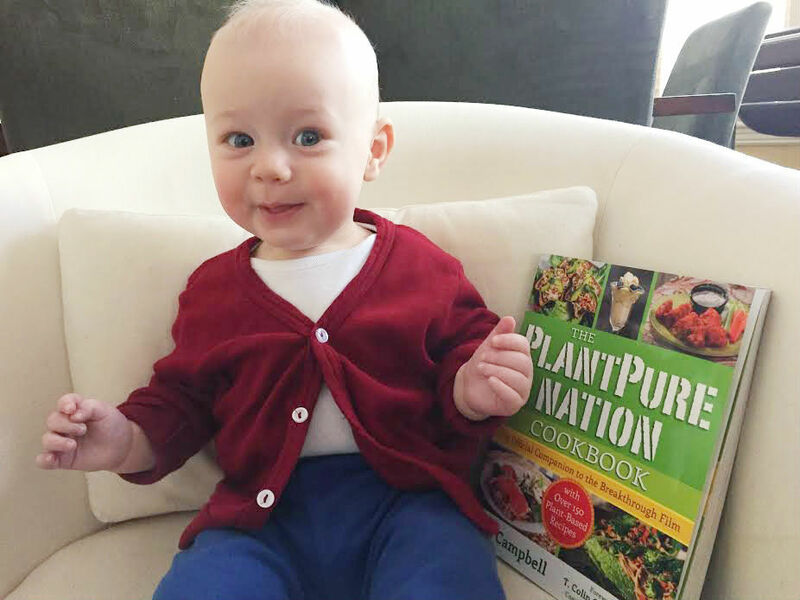 The cookbook I find myself coming back to over and over again is Kim Campbell’s The PlantPure Nation Cookbook, the companion cookbook to her husband Nelson Campbell’s documentary PlantPure Nation. It’s not all gluten-free, of course, but there are plenty of recipes there that are, or that can be easily adapted. And I’ve yet to try one that didn’t make me happy I tried it. 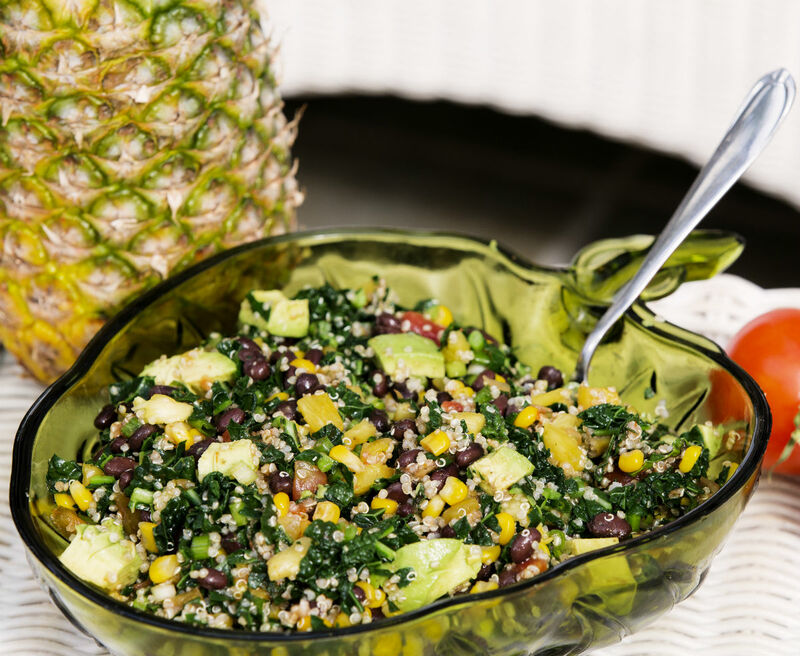 My favorite so far: the Caribbean Quinoa Bowl. Rinse the quinoa, which can have a bitter taste if not rinsed thoroughly. Add the quinoa and the water to a pot, bring to a boil over medium-high heat, then reduce the heat to a simmer. Cover and cook until all the liquid is absorbed. Transfer to a large mixing bowl. Add the beans, cumin, chili powder, salt, salsa, pineapple, and corn. Toss until the ingredients are well mixed.